Christine Caine grew up revering the Bible, and even kissing the Bible, but never reading it for herself. store for them. The people of Israel are on the edge of the promised land, ready to finally enter into the blessings God has in store for them and to live into their calling to be a nation whose ways will be a light to other nations—to be “a priestly people and a holy nation” (Exod 19:5–6). But instead of being the prelude to a story of celebration, the glimpse of the promised land given to the spies leads to Israel’s central rebellion against God and their rejection of their calling. 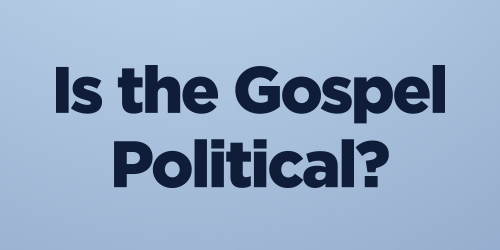 Some church traditions try to separate any aspects of faith from political discourse. Others seem beholden to specific political agendas or parties.